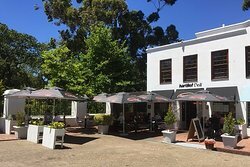 This is one of my favourite breakfast/lunch spots in Constantia, as it is for the many locals who frequent this cute cafe/deli/butchery in High Constantia. 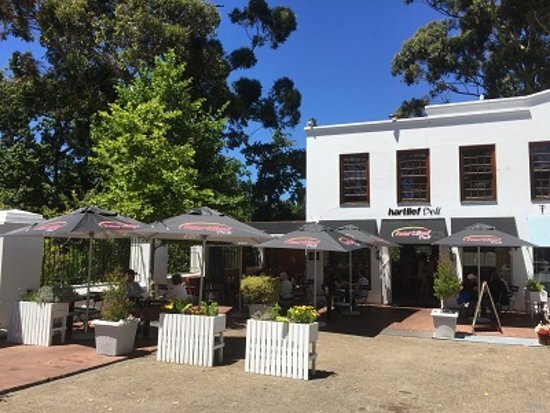 Atmosphere is relaxed and the service is friendly and super accommodating. Very good value. Low carb diet (Banting) friendly. Fantastic. Food well done. Place is awesome. Burgers are the best. Atmosphere great. A must for everyone to go there!!!! 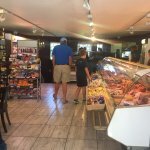 Perfect setting for a breakfast, brunch or lunch for business, with friends or family, Menu is unique with lovely choices, complete with a shop in the deli and some German treats for home! 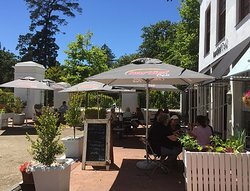 dissappointing visit to the Constantia Hartlief Deli. 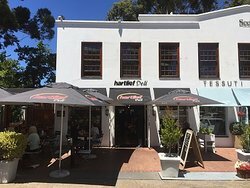 Hartlief is tucked away in the corner of the centre but,it has a good selection of deli fair and German products. Get quick answers from Hartlief Deli staff and past visitors.